Privacy metrics are used to show how effective new privacy-enhancing technologies are, i.e. to what extent they are able to protect privacy, by measuring the amount of privacy the technologies provide. Even though many privacy metrics have been proposed, there are many studies showing their shortcomings in terms of consistency, reproducibility, and applicability in different application domains. This is an important issue because use of a weak privacy metric can lead to real-world privacy violations if the privacy metric overestimates the amount of privacy provided by a technology. This project investigates privacy metrics for several application domains, including genomics, vehicular networks, smart metering, social network, and data publishing. This project is supported by EPSRC (grant EP/P006752/1, "PryMe, a Universal Framework to Measure the Strength of Privacy-enhancing Technologies"). Many modern cities strive to integrate information technology into every aspect of city life to create so-called smart cities. Smart cities rely on a large number of application areas and technologies to realize complex interactions between citizens, third parties, and city departments. This overwhelming complexity is one reason why holistic privacy protection only rarely enters the picture. A lack of privacy can result in discrimination and social sorting, creating a fundamentally unequal society. To prevent this Orwellian future, this project investigates privacy protections for the smart city. 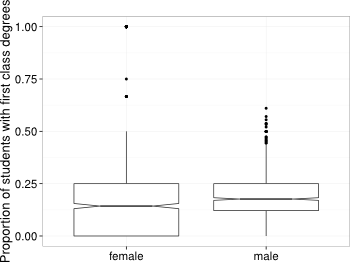 I have studied whether a performance gap exists in addition to the gender gap in computer science. My statistical analysis of 129 UK universities between 2002 to 2013 showed that male students were awarded first-class degrees at a significantly higher rate than female students. My review of explanations and solutions for this performance gap showed that many solutions can be implemented relatively easily. For example, because visual priming has been shown to reduce automatic prejudice, I have designed a series of 29 posters of inspiring computer scientists (two-thirds female, one-third ethnic minorities, one-quarter LGBT) that are now displayed prominently in the corridors at De Montfort University. Poster series "Inspiring Computer Scientists" - available in full resolution under Creative Commons license CC-BY-SA 4.0! Network lifetime is a key characteristic for evaluating wireless sensor networks in an application-specific way. This project studied how the lifetime of a wireless sensor network can be measured and proposed a generic definition of sensor network lifetime for use in analytic evaluations as well as in simulation models, focusing on a formal and concise definition of accumulated network lifetime and total network lifetime. Model-based development provides means for efficient and platform independent software engineering. Especially UML2 is becoming a de-facto standard in this domain. To enable an early performance evaluation of systems modeled with UML, we envision the usage of UML models instead of regular simulation models to conduct discrete-event simulations. This facilitates the integration of simulation into model-based development processes, leading to a faster and more efficient system design process. We developed the framework Syntony to support discrete-event simulation based on standard-compliant UML models. 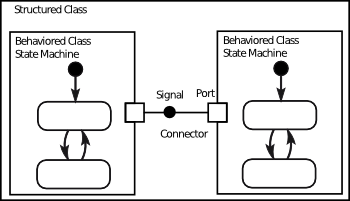 According to the principle of communicating automata, system models may consist of composite structure, state machine, and activity diagrams. Furthermore, the MARTE profile allows to specify performance attributes and measures. Syntony automatically transforms UML models to executable code for the simulation engine OMNeT++. Integrated into the Eclipse framework, Syntony supports various simulation techniques for simulation control, design of experiments, and result analysis. The project was a collaboration with Fraunhofer IIS and funded by the BMBF Aletheia project.